My head is full of recipes. As usual these ideas are jostling for space and waiting for me to choose them for a mornings experimentation and testing in the kitchen. It is such fun and something I love to do. The last few weeks however have been crazily full of other stuff and so a new recipe hasn’t made it to pole position ready for its launch from me to you. So I thought I’d let you know which of my recipes I will be cooking this Easter weekend in case it helps you with any last minute decision making. For Saturday lunch we will have Paella (January 2013) – one of my brothers is a vegetarian so I’ll make a great big veggie version with peppers and leeks. For the carnivorous amongst us I will serve a separate pan of sizzling chorizo and juicy pink prawns. 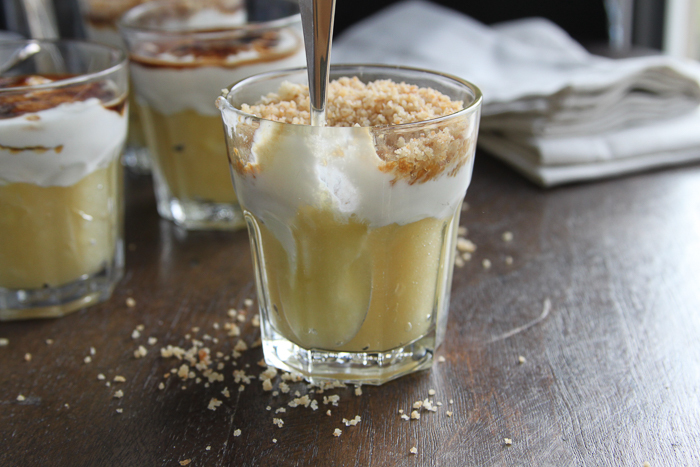 Pudding will be Crunchy Apple Puddings (January 2015) which I can make in the morning leaving me cool and calm (!) with just a salad to rustle up to serve alongside the paella. Easter lunch just wouldn’t be right without our paschal lamb and I won’t deviate too far from the traditional course. Our leg of lamb will be served pink with my favourite, fabulous fresh herb sauce (July 2013) to which I will add a bunch of mint, the perfect accompaniment. Spring greens and glazed carrots seem a good idea alongside the essential roast potatoes. My daughter and I are still in dispute about pudding. A chocolate pavlova is fairly high on the agenda but I’m not sure it won’t be toppled by a rhubarb version which will bring some freshness and zip to an otherwise chocolate laden day. The Lemon Curd layer cake (May 2013) will be our Easter teatime treat as fruit cakes aren’t particularly welcome chez May and although I adore Simnel cake, my daughter’s nut allergy precludes marzipan from our table. No loss though as this light and airy, zesty lemon confection is perfect for early Spring and seems eminently suitable for the Easter table. 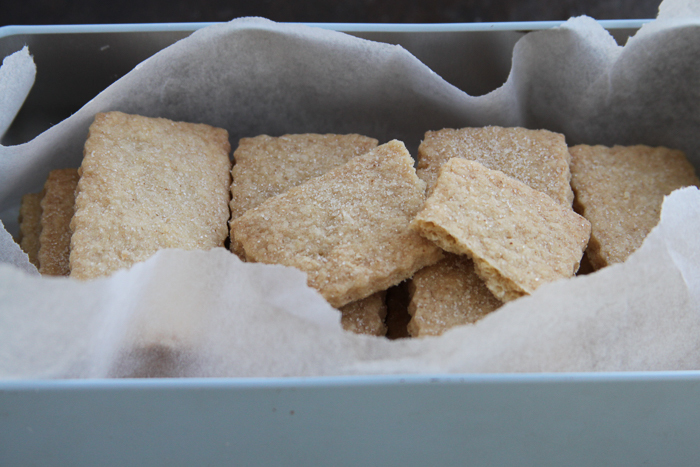 Should anyone not have space for a slice of cake I’m sure they will fit in a small biscuit and I’m hoping to persuade my children to make these Ginger Biscuits (February 2015) which are beyond simple and beyond delicious. Whatever you are doing and whatever you are eating, I wish you a very Happy Easter. Is there anything better than the smell of a newly baked loaf of bread? Bacon is good, doughnuts certainly tempting, roast chicken cosy and reassuring but bread is out there on its own, top of the podium. Following that first whiff of your freshly cooked loaf the challenge is to sit tight and wait a few minutes until it is ready to be cut. You know that first slice spread with a generous amount of good butter is going to be just fabulous. Sink your teeth into it and revel in the extraordinary alchemy of four humble ingredients which together make our daily bread. Bread tends to get vilified but in fairness it has kept millions of people going for thousands of years in its various forms. I’m not keen on writing off any food group and for children in particular I think bread forms an essential part of their diet. It may be the antithesis of all the quinoa, spirulina and sweet potato brownies I see winking at me these days but I adore bread and would never want to give it up, I just ensure I don’t eat a whole loaf in one sitting! This is the loaf I make every few days to keep my family supplied with toast, sandwiches, soldiers and the like. 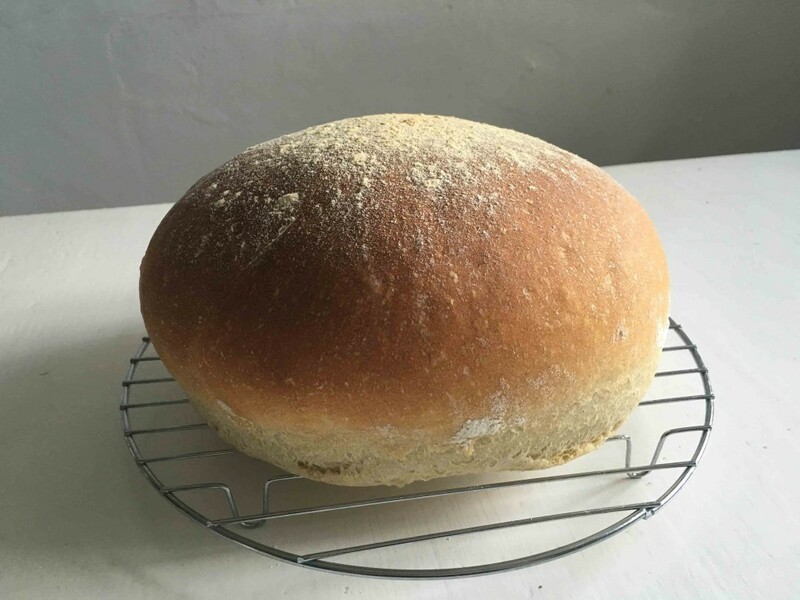 We ring the changes with the odd wholemeal seedy loaf, milk loaf (July 2014), rye, brioche or quick soda bread (April 2013) but generally this is the loaf you will find in our bread bin. I think bread has a reputation for being a faff but honestly, it couldn’t be easier, a quick mix and then patience whilst the dough rises twice and then a brief spell in the oven and its done. So, so much better than bought bread and hugely rewarding. With a simple dough you can rustle up flat breads, rolls, pita, pizza bases – all sorts of easy, cheap treats. A Saturday soup lunch wouldn’t be half as appealing without a generous, homely loaf sitting on the board at the end of the table and no picnic would be complete without bread in some or other shape. 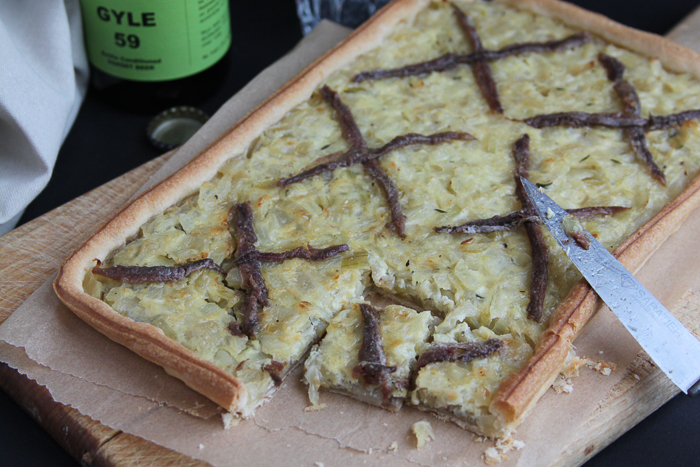 For a change make focaccia (May 2014) or grissini/bread sticks (May 2015) – children love making any of the above and their delight in their creations easily makes up for the clouds of flour covering your kitchen. Should there be any left over, make croutons or breadcrumbs for another day. I find it reassuring that this bread goes stale rather than spookily lasting for weeks before developing a nasty mould as some shop bought breads can. Make this loaf, I promise you will be so pleased you did. It you have a stand mixer then this will take literally minutes of your time to rustle up. Before I got ours though I still made this and happily kneaded it for around 10 minutes. It is a calming way to spend 10 minutes (come on, it is only 10 minutes!) and you will be rewarded tenfold! Put the flour into a large bowl (or the bowl for your mixer) with the salt on one side and the yeast on the other. Add the water and bring it all together from a sticky mess into a dough. Then using the dough hook put your mixer on for 6-7 minutes or knead by hand for 10. Sprinkle the inside of the bowl with a little extra flour, put the dough into the bowl, cover with a cloth and leave somewhere warm and draught free for an hour. After this time you will see your dough has risen so punch the air out of it by kneading a couple of times then form it into whatever shape you want your loaf to be and put on a flour dusted baking sheet. Cover again and leave for a further hour. Towards the end of this time preheat your oven to 200. Sprinkle with a little flour and then bake in the middle of the oven for 25-30 minutes after which time it should be bronzed and hollow sounding when you tap (cautiously) the bottom. The base should be beginning to colour, you can always return it directly onto the rack for a further five minutes if you think it needs it. Let it cool on a wire rack and then dig in.